Time is running out for buyers of some of the best-selling plug-in vehicles to get a $7,500 federal tax credit with their purchase. In an SEC filing early Friday, Tesla said it expects that it will hit the threshold of 200,000 U.S. sales at some time in 2018. That will lead to the beginning of the end of a federal tax credit for its customers. For any automaker, the full tax credit for their customers ends a few months after it sells its 200,000th plug-in car in the United States. Once the full tax credit disappears, for the next six months, buyers get a $3,750 credit. Then it drops to $1,875 during the following six months. Tesla is not alone in nearing the 200,000 mark. A General Motors (GENERAL MOTORS) spokesperson said Friday that it also expects to reach that point at some point this year. GM has already sold more than 160,000 of the cars, including the all-electric Chevrolet Bolt and the Chevy Volt, a plug-in hybrid that can run on gas or electric and also qualifies for the credit. "While there's no doubt that the federal incentive has proved invaluable to attracting buyers to EVs, we're offering compelling products and prices for our customers," said GM spokeswoman Elizabeth Winter. The loss of the tax credit will significantly increase the cost for buyers, and could hurt demand. Tesla sells electric vehicles only. For GM, plug-ins make up less than 2% of its U.S. sales. Tesla has sold about 300,000 cars globally, but has not disclosed a precise number of U.S. sales. Tesla (TSLA) started deliveries of the Model 3 last year. 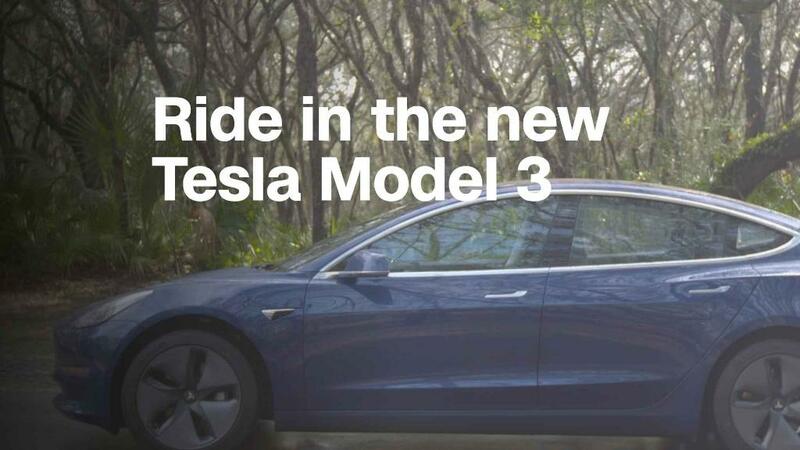 The Model 3 is its first mass market vehicle and has a starting price of about $35,000. The company has received orders and deposits for more than 500,000 of the cars. Buyers don't get the tax credit until they take delivery of the car, and the Model 3 has run into production bottlenecks. As a result, Tesla delivered only 1,764 through the end of last year. So it is likely that only a small fraction of Model 3 buyers will be able to get the full tax credit, and some may decide to back out of the purchase if they don't qualify. They have all put down a $1,000 deposit, but it's refundable. Because the waiting list is so long, anyone who orders a Model 3 today probably won't get the full tax credit. Those ordering the more-expensive Model S or Model X may qualify because the waiting time for those models is generally two to eight weeks, according to Tesla's website. The Tesla filing also disclosed that the company added 7,500 employees last year, a 25% increase in staffing levels that brought its total employment to 37,500. That came as the company ramped up production at both its California assembly plant and at two "Gigafactories" making lithium batteries in Nevada and solar panels in Buffalo, New York. Automakers other than GM and Tesla, such as Toyota (TM), Nissan (NSANF) and Ford (F), are nowhere near the 200,000 vehicle limit. For example Nissan has sold 115,000 of its all-electric Nissan Leaf in the U.S. since it went on sale in 2010. Correction: An earlier version of this article incorrectly reported what Tesla said in its SEC filing. The article has also been updated to add General Motors' sales target as well as details of the phase out of the tax credit.